The origins of International Burger Day are unclear with Google and Wikipedia not being able to offer up how this bizarrely named day has somehow come about so purely because we here at Love Food HQ have a number of burger recipes to hand – all low fat and nutritious recipes and NOT fat laden, artery clogging versions – we thought we’d add this here little ol’burger recipe for you to try out at home at your leisure. Andrew: Inspired by Dawn’s Turkey and Thyme Burgers I have been rummaging in the freezer and found some minced lamb, and with fresh mint growing aplenty in the garden, as well as a jar of the dried herb, I have devised this dish. Dawn: It is barbecue season after all. So many of the commercially available ones are so full of fat and water that the end result is often much smaller than the burgers that emerge from the fridge or freezer. Andrew: Quite right, Dawn. And why should beef be the only alternative in a burger, too? Do you know the origins of the word ‘Hamburger’, Dawn? Dawn: I know there isn’t any ham in them. Andrew: That is because the name originates from the city of Hamburg. Dawn: Frankfurters originate in Frankfurt, Wieners from Vienna (Wien). Dawn: …. the crowd thought he said ‘I am a deep fried yeast based confectionery product’. No wonder some of them looked bemused. Just as with the Turkey and Thyme Burgers, place the lamb, breadcrumbs, spring onions, herbs and seasoning in a bowl and mix by hand so that all the ingredients are well combined. Divide into 8 roughly equal portions, roll each into a ball, roll gently in flour and set aside. When ready to cook, heat a frying pan over a medium-hot hob, adding a little oil. Press each burger between your hands or on a chopping board so all are of equal thickness. Fry until cooked to your satisfaction on both sides, turning in the middle of cooking. Alternatively griddle or barbecue your burgers, according to taste or equipment. Serve with a salad, potato wedges or simply in a bun with red onion and tomato sauce, or whatever takes your fancy. Dawn: Another winner from the Love Food Stable. 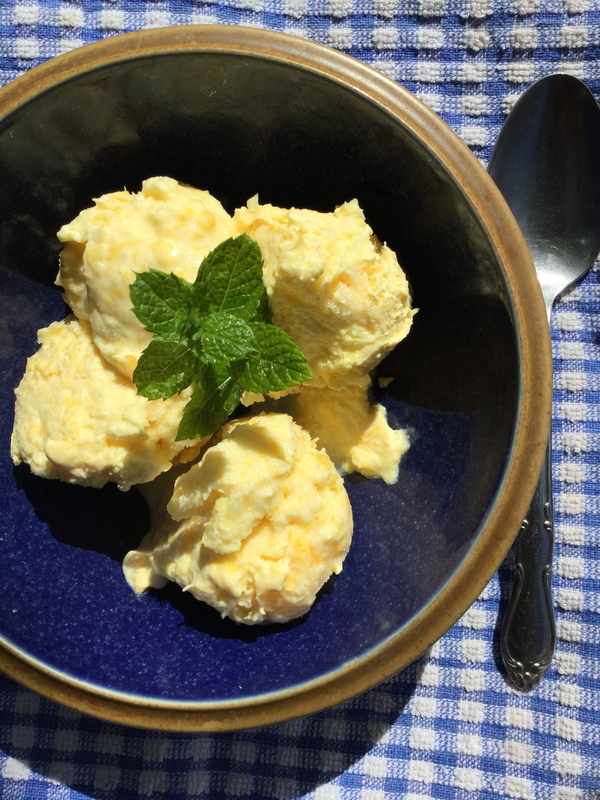 This is a lower fat version of ice cream and has a sorbet/ice cream texture and a delightful tangy flavour – an ice cream with zest! Put 6 of the peeled whole oranges’ segments into a food processor and blitz until they have created a ‘bity-looking mush’. Dawn: I like the descriptive! Next, in a bowl put the double cream, reduced fat creme fraiche and mix together. Set aside. Put the sugar and the lemon juice into a saucepan and slowly dissolve over a low heat, stirring all the time. Andrew: Stirring helps prevent the sugary syrup from sticking to the saucepan and burning. Add the orangey ‘bity-looking mush’ to the sugary syrup, and stir until the ingredients are mixed together. Gradually add the cream, creme fraiche and a pinch of salt, slowly stirring the ingredients together. When the ingredients are combined, add the segments of the remaining orange, tearing them as you add them to the mixture. Roughly stir these into the ice cream mixture. In a freezer container, line with cling film and pour in the ice cream mix. Cover and place in the freezer. For the next 3-4 hours, remove the freezer container from the freezer every hour and roughly mix the ice cream with a fork, replacing it in the freezer. Dawn: I make mine and allow it to freeze overnight. I also rarely buy castor sugar preferring to use granulated and on the odd occasion that I do need to use castor sugar, I put the required amount in the food processor and blitz it – hey presto! Castor sugar! Andrew: Another great tip, Dawn. Saves money, too, as castor sugar is often more expensive than granulated. When you are ready to serve it, remove from the freezer about 30 minutes beforehand. 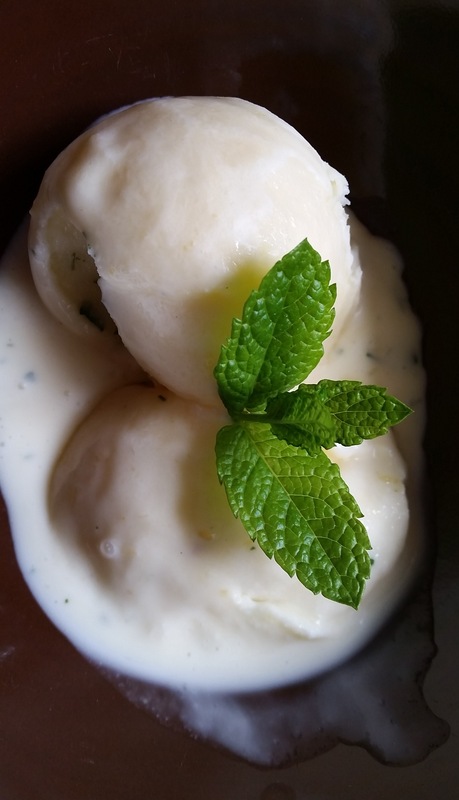 Dawn: This makes a really tangy, tasty and refreshing ice cream that is partly ice cream sorbert. Andrew: Mmm…my mouth is watering…pass a dish of it, would you, please? Andrew: And that’s it, folks! Simple! 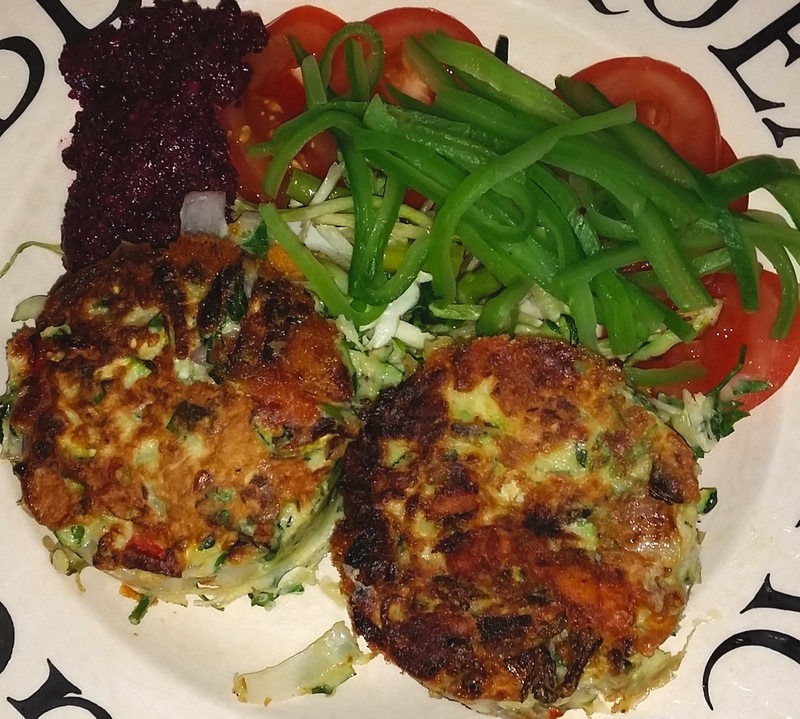 For more recipes that are so easy to make and inexpensive to do, simply follow this blog www.forfoodlovers.wordpress.com and receive recipes straight into your very own ‘inbox’ when the happen! Newsfeed on Twitter and updates on Facebook, too. There’s nothing quite like simply liberating an idea and sharing the outcome with everyone…and one such idea is here! Dawn: Slave! Bring me something smooth, rich and sophisticated! Dawn: (exasperated) Andrew! That’s you in a George Clooney mask! Andrew: Can’t you see any similarity? Dawn: A comatose myopic pig could see through that disguise! Andrew: That’s a bit short sighted of you! Andrew: Ah! I have it! The Cary Grant of puddings! Oozing easy charm, flavoursome and elegant! Dawn: I will await your efforts to convince me! Andrew: Give me about 5 hours to dress it up! Dawn: I can wait! It had better be worth it! Dawn: Salt in my ice cream! Better be a great reason! Andrew: Stops it from over-freezing! And it goes with lemon and tequila! Dawn: I will leave you to it! Andrew: You do that! Now this has to be the simplest ice cream recipe ever. Grate the peel of one of the lemons using the fine side of the grater. Squeeze the juice from all three lemons, taking care to pick out the pips. Combine the lemon juice with the sugar. Add the cream and salt slowly. Mix carefully. You will find that the mixture thickens very quickly. Pour into a shallow container and lace in the freezer. Check regularly. When the ice cream is solid around the outside but still mushy in the centre stir with a fork. Freeze again until the ice cream is firm. Serve with raspberries, other summer fruits or simply with a sprig of mint. Dawn: (Claps hands) Come slave! I desire to consume said creamy comestibles! Andrew: Here Mistress! Thank you for your patience! Dawn: MMMMMMM!!!! You certainly pass the smooth, rich and sophisticated test! Andrew: And pray… what did your last slave die of? Dawn: Not boredom, that’s for certain!